MEANS is on Facebook, Link with us! Sign up now. Help us spread the word! Invite friends to add their names. Join us and get some updates about what we do. See our volunteers and ministry partners in pictures. Serving at MEANS If you are in the Chicago area, contact us. If you are out of Illinois, you can still serve. We need writers, prayer partners, partners to adopt a reading center or to adopt a missionary. Learn how you can serve our missionaries. Send us an email. Prayer Ministry Or, you can send your prayer requests and concerns to us. We pray for our friends and donors on our monthly workday. Samaritana Children – Metro Manila, Philippines -Your gifts had helped children of sexually exploited women through our partnership with Samaritana Ministries. Last December at the MEANS sponsored Christmas party, each child received a brand new back pack filled with school supplies, tooth paste, tooth brush, bath soap, and a face towel. The party was held at a park where they had a Christmas program and afterwards, the kids enjoyed swimming in the park’s pool. Students to attend Bible Camp MEANS will sponsor 15 high school students from Good Shepherd Orphanage and Academy, Guimaras Island, Iloilo, Philippines, to attend a week long IVCF Philippines camp this summer. The students are from indigent families of farmers and orphans. Thanks to our generous donors who made this project possible. The students will receive training in basic Christian disciplines like having a daily quiet time with God, praying, studying the bible and sharing the good news of Jesus Christ. Your gifts had helped children of sexually exploited women through our partnership with Samaritana Ministries. Last December 2008 MEANS sponsored the Christmas party for the children, each child received a brand new back pack filled with school supplies, tooth paste, tooth brush, bath soap, and a face towel. The party was held at a park where they had a Christmas program and afterwards, the kids enjoyed swimming in the park’s pool. Samaritana Transformation Ministries is a non-profit, non-denominational organization committed to sharing and living out the Gospel among Filipino women caught in prostitution, in partnership with other members of the Body of Christ. Inspired by Jesus’ example, Samaritana reaches out to modern-day Samaritan women. By offering them community, friendship and accompaniment, these women are also slowly freed up to be who they truly are, as people loved just for who they are, regardless of their backgrounds, and valued for who they can yet become as they begin to trust in themselves and others and as they renew and pursue their dreams and aspirations. IVCF rejoices that you share our vision to make the IVCF Learning Resource Center a place conducive for reading and study. We desire that the library will not only be a place “where the books are,” so to speak, but will literary rbe considered as primary esource center in the spiritual growth of the students, graduates and staff workers. 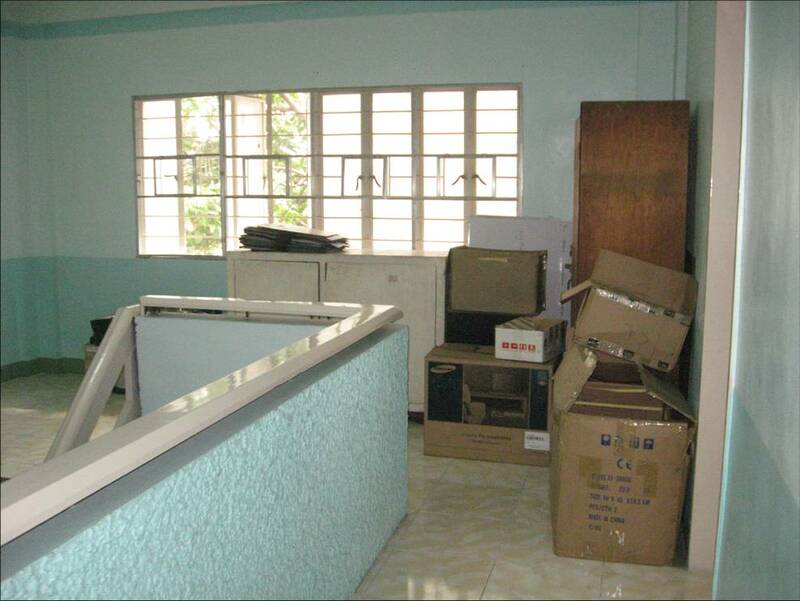 We pray that the Learning Resource Center will be IVCF’s “living room”. Last August we received 52 books from MEANS Read-to-Grow Program adding to over 3350 titles. Your gift encouraged us all the more to pursue the project of restoring our IVCF Learning Resource Center. Some initial steps were taken like a major clean-up, making new inventories, and creating a friendlier borrowing system. Since then, we have seen more staff and students using the Resource Center. In November the manual listing of the books were finished and as of now, 95% of the books have been appropriately categorized in different topics (i.e. Commentaries, Bible Aids, IVCF/IFES, Christology, etc). There are other steps we would like to take to reach our vision. We need to purchase new titles, furnishings, book shelves, electric fans, and air condition unit. DESCRIPTION This project envisions that the Library be a primary resource center for IVCF students, graduates and staff workers. The goals are to create a user-friendly Library system and to renovate in order make it conducive for study. The ideal duration of the project is two months and its estimated cost is $5,000.00. Goal #1 – To create a user-friendly Library system. To complete the inventory of all books and resources. To create a simple and user-friendly electronic database. To create a borrower’s and catalogue system appropriate for users of the IVCF Library. 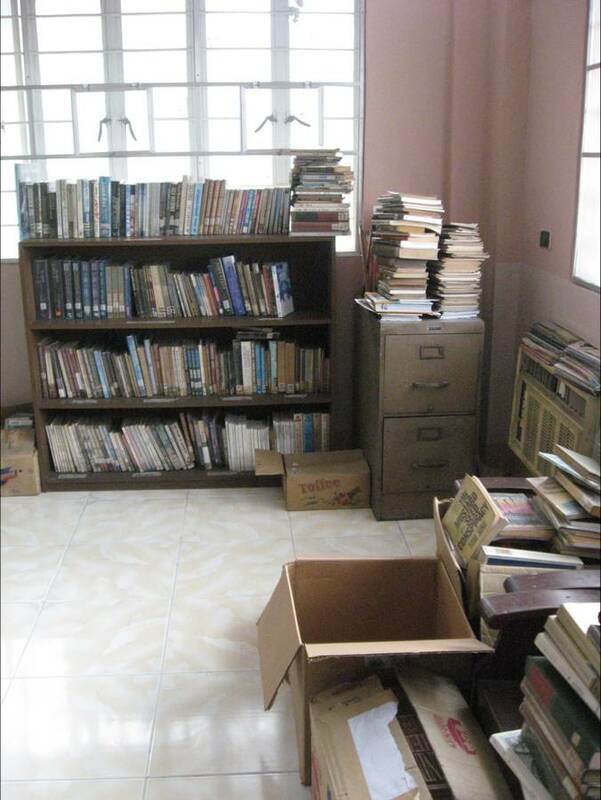 Goal #2 – To renovate the IVCF Library and make it more conducive for study. To add needed furnishings and equipment – additional bookshelves, study tables, lamps, sofa, electric fans and air-conditioning unit. To acquire new titles relevant to the needs of the current staff, volunteers and students. Library Consultants -IVCF alumnae, Ms. Ruth Orteza, Head Librarian of the Asian Theological Seminary and RG Guillermo, SVCF- UP Diliman finishing a degree in Library and Information Science. They serve as consultants for free. The IVCF Learning Resource Center is frequently used by the staff members when they preparing for Bible studies, talks, sermons and expositions. An updated and well-stocked library will be greatly help in the staff’s plan for personal, spiritual growth and development. Students and graduate volunteers only use the library when choosing a Bible study plan for their small groups and when preparing for semestral break camps. It is our goal to make the library more useful and accessible to students and graduate volunteers by providing relevant titles and intentionally inviting them to avail of the resources in the Learning Center.